This Light Award is sponsored by the I Create Power Membership Site and processed through Kiva.org. 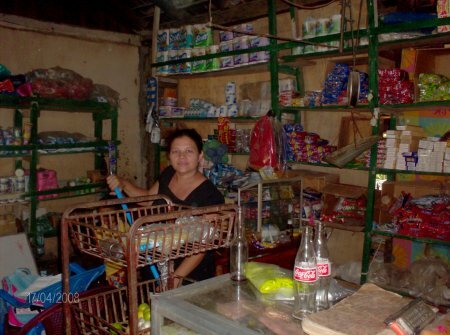 In spite of the difficult financial situations that she has been through, she has been able to improve her business thanks to the loans that she received from Ceprodel which she has used to purchase goods for her store. With these loans she has improved the variety of her products and has been able to provide better living conditions for her children who need them so much. For this reason she is once again hoping to benefit from a loan for the purchase products to stock her general store. For more information about other light workers, light resources, and light tools, see the navigation over to your left. Or learn more about the Perpetual Light Fund. Note - This loan was processed through Kiva.org.